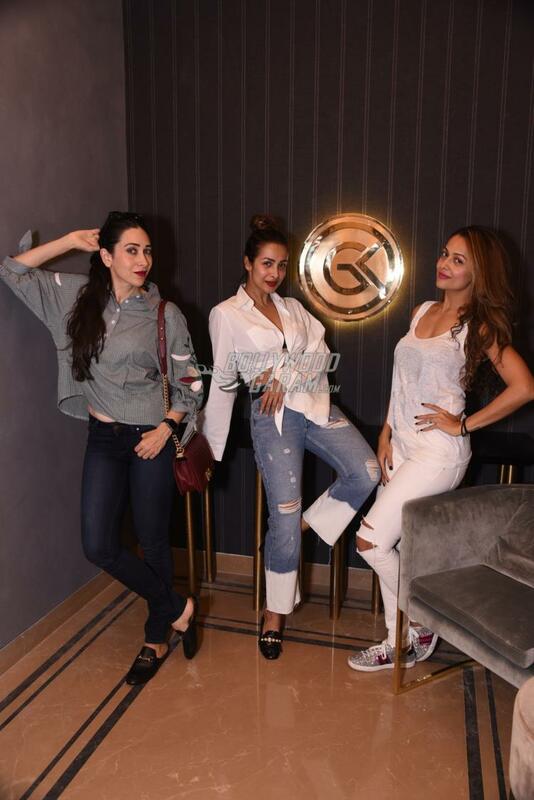 Close friends of celebrity interior expert, Gauri Khan, turned up for the launch of her store in Mumbai on August 22, 2017. 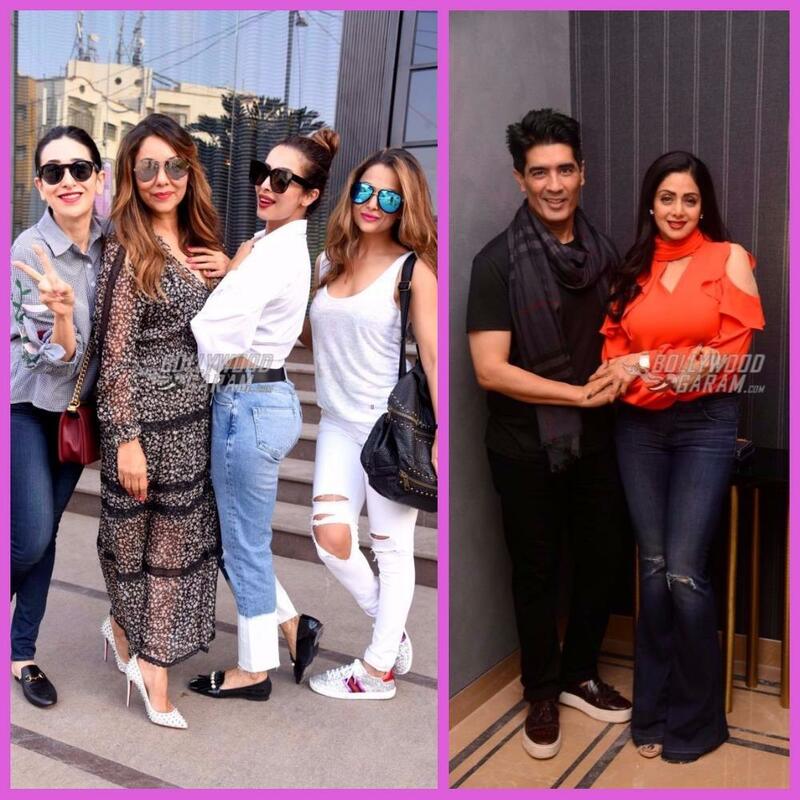 Karisma Kapoor, Amrita Arora, Malaika Arora, Sridevi and Manish Malhotra were photographed visiting the store. The girls at the store appeared at their trendy best and were all poses and smiles for the shutterbugs. 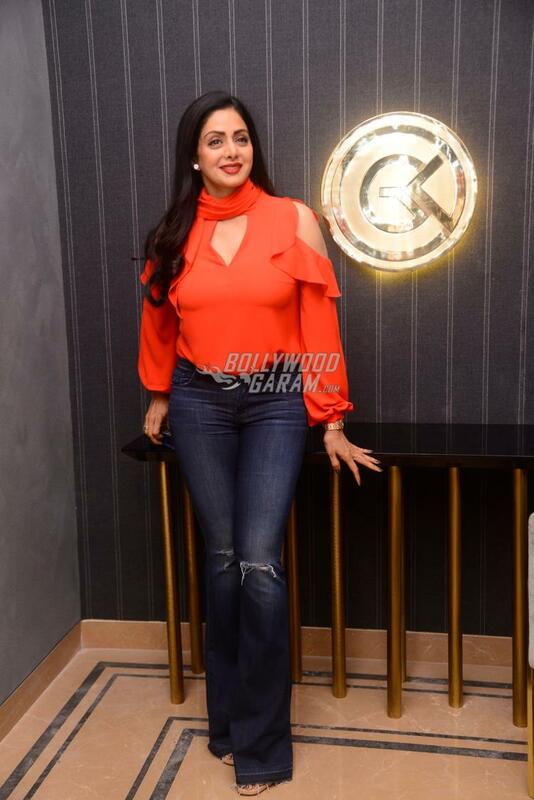 Sridevi was the one who caught everyone’s attention in an orange cold-shoulder top and wide-legged denims. The veteran actress kept her hair open and wore a contagious smile. Karisma looked great in a checkered blue shirt, and a pair of denims and completed her look with a pair of glares and loafers. 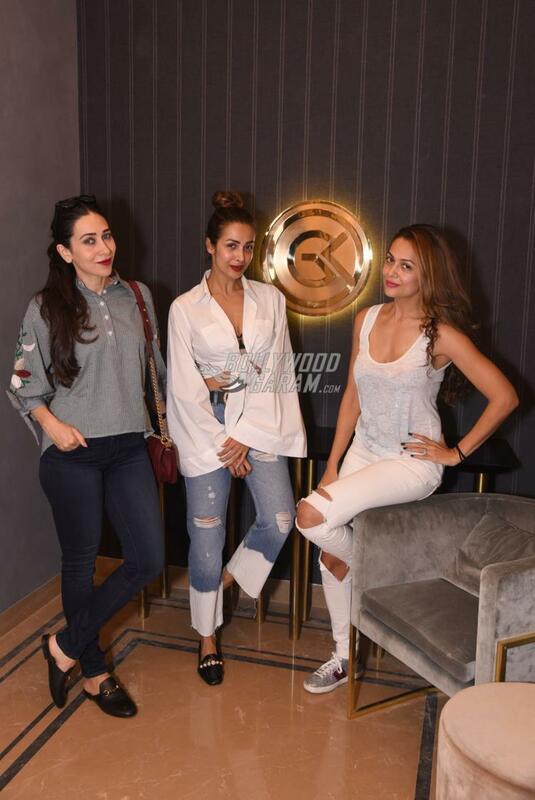 Malaika as usual, looked trendy in a shirt tied in front and blue denims while sister Amrita posed in a white tank top and white ripped denims. Store owner, Gauri appeared in a black sheer layered outfit with white prints. Malaika, Amrita and Karisma were all praises for Gauri’s creations and were generous with poses for the cameras. 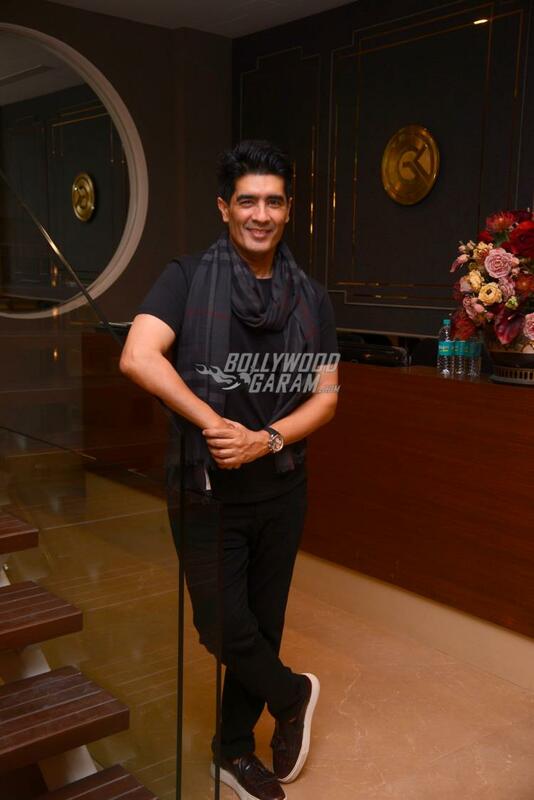 Close friend and ace designer Manish Malhotra, too made his presence felt at the store and was seen in an all black outfit. Gauri Khan, in an earlier interview spoke about her husband Shah Rukh Khan’s support of her work and said, “Shah Rukh is very talented with design and he is extremely creative. 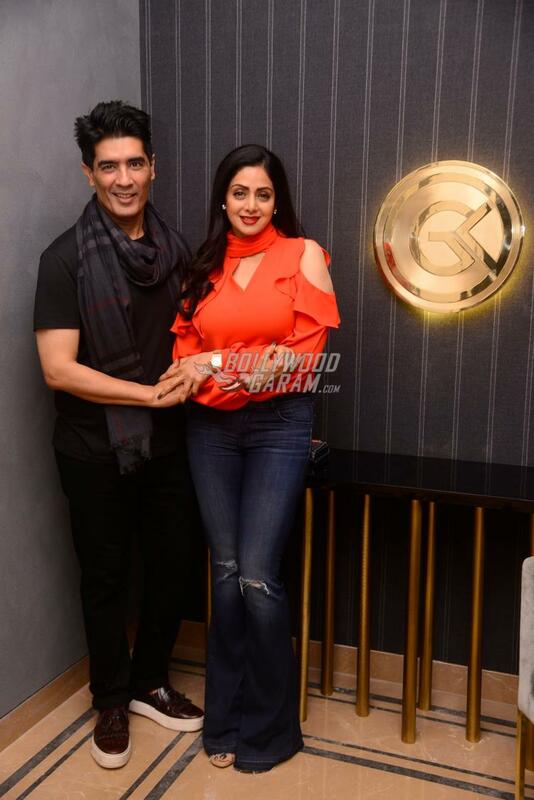 In fact, I discuss work with him off and on, and our conversations are always fruitful (smiles).” The celebrity interior designer in recent times designed the baby room for Karan Johar’s twins and has also done Ranbir Kapoor’s new bachelor pad.